Do you have a costume yet? Don't worry. Health staffers have you covered with seven last-minute, costumes you can throw together using gear you already have. Between work and workouts October has been pretty hectic. Suddenly, as you absentmindedly flip past Hocus Pocus on your TV, you remember: Oh right, Halloween is this weekend! The kids have costumes, but do you have one yet? Don't worry.Â HealthÂ staffers have you covered with seven last-minute, costumes you can throw together using gear you already have. When Thriller and dance cardio mix you get the Zumba zombie. With neon gear and some deathly looking makeup, no one will even notice your lack of rhythm on the dance floor. You'll need: What you normally wear to Zumba class and non-toxic face paint. Here's a costume anyone can pull off. 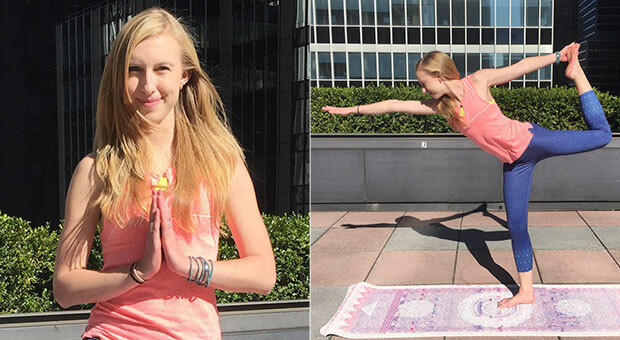 In addition to your outfit, be sure to greet everyone with "Namaste" instead of "Trick or Treat." You'll need: Yoga pants, a motivational tank top, and mat. Float like a butterfly, sting like a bee, this costume is easy as can be. 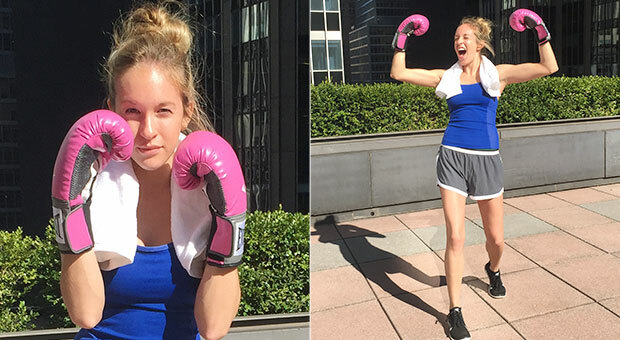 You'll need: silk shorts, towel, boxing gloves ($15; amazon.com), and "Eye of the Tiger" on repeat. Don't have gloves? Use tape instead and go as UFC champ Ronda Rousey. 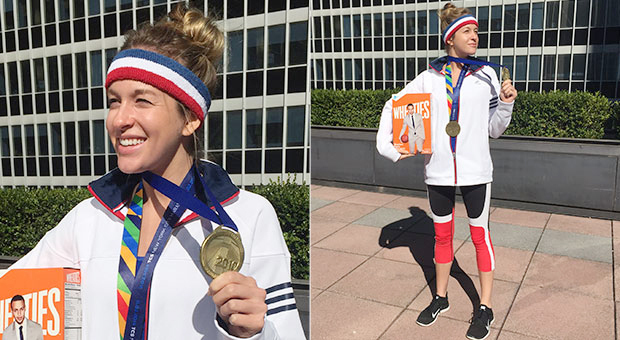 You've seen these beyond happy runners all over your Instagram feed. Now's your chance to get in on the fun... without having to run a 5k. 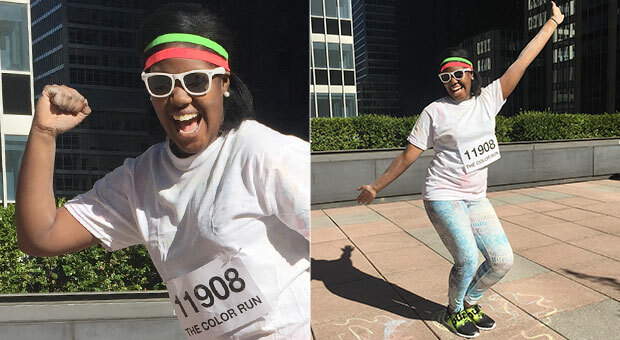 You'll need: colored leggings, white T-shirt smeared with sidewalk chalk, safety pins, and a homemade runner's bib (we made ours in Microsoft Word). 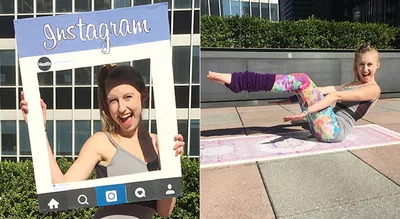 In the immortal words of Olivia Newton John,Let's get physical, physical...You'll need: leotard, leggings, leg warmers, scrunchie, and a DIY Instagram "screen" (we made ours with a cardboard box and print-outs from Google images). Here's one to catapult you to #GoldMedalStatus. (Plus, it's an excuse to carry around a healthy snack all night.) You'll need: a box of Wheaties, race medals, track jacket, and all things red, white, and blue. They say imitation is the sincerest form of flattery. 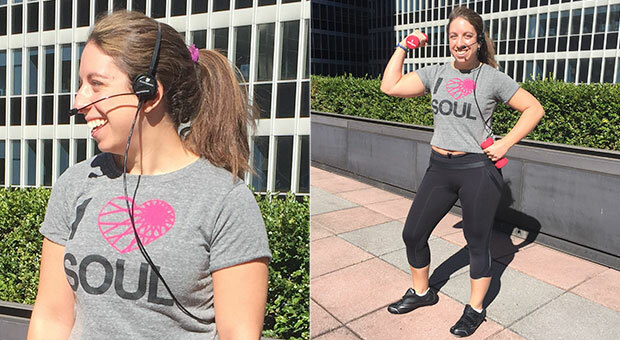 Honor the teacher that helped you find yourself by dressing up just like her this year.Â You'll need: SoulCycle T-shirt, headset, free weights, and cycling shoes.